Click the newsletter to see the most recent issue. 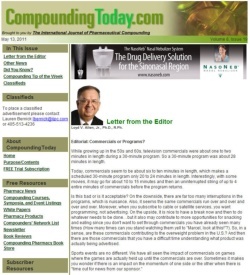 Weekly editorial on current compounding topics, a summary of news items, book reviews, and the Compounding Tip of the Week. 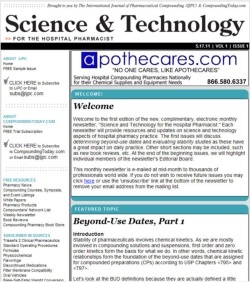 Monthly in-depth discussion of compounding in the hospital arena, book reviews, and compounding resources.